This May my husband and I have been married for 3 years and a question we are regularly asked is when are we going to have children. The truth of the matter is I just don't know. I don't know if we're going to have any and, to be perfectly honest, I don't know if we even want to have any. From as long as I can remember I have never really been what you might call a 'baby person'. Now don't get me wrong, I do like babies! They're cute, cuddly, mesmerising to watch and one of life's greatest miracles. But unlike a lot of my friends and family, I have never had the overwhelming feeling of desire for my own baby. I have never experienced real feelings of broodiness when I meet other people's babies. One of my friends once described her broodiness like a physical pain from inside her and she claimed that she could almost feel her womb crying out to be impregnated. I of course had no idea what she was talking about. I enjoy spending time with babies, holding them and playing with them but at the end of the day I am more than happy to hand them back to their parents and go on my merry way back to my peaceful and tidy home. Often after spending a few hours in the presence of babies and children I find myself feeling pretty exhausted and unable to even imagine what it must be like having them with you 24/7. I have so much respect for parents and just what hard work it can be to bring up a child. Ok, I accept that the idea of myself and my husband producing a mini me version of ourselves all by carrying out a simple act of nature is a pretty incredible idea. But if we're more than happy as we are why would ever consider making such a huge and permanent change to our relationship? It may bring us closer together, but it could also drive us apart. I'm not sure that's a risk i'm willing to take. It took me long enough to find him in the first place! I guess in some ways we're fortunate that there isn't a huge amount of pressure on us to have children. Neither of us are religious and we don't come from religious families. I'm aware from some tweets that i've received that in many religions or families it is expected that your key purpose in life is to reproduce. We're very lucky that we don't have to deal with that kind of expectation. We also don't feel a huge amount of pressure from our immediate families which is again a relief. I think it would also be fair to say that our ever expanding and ageing population perhaps doesn't require the need for any further additions. We already live in a world which is struggling with sustainability, global warming and overpopulation issues, so why choose to add to that? Some people may think that my reasons for not wanting children are in many ways selfish, but some would argue that bringing a new child into the world is also a selfish act which doesn't take into account the wider and more important issues that our planet is currently facing. Considering matters closer to home, I am more than aware about the lack of housing, school places and limited services available to families at present. There are many things about the world we live in which in fact make me quite sad and I would therefore question bringing another life into it. On a more personal note, a huge thing for my husband and I is our freedom. We love to lead the life that we want with no other real commitments. As soon as we got our dogs I noticed a big change in our ability to go out all day and to travel. Fortunately we have a support system in place for our dogs which means that this is still relatively easy for us as long as we plan for it in advance. But even just by having dogs in our life it made me reflect on how much of a commitment it would be for us to have children and completely lose our ability to pretty much do as we please. I'm not saying for one minute that if you have children your life as you know it is over, but there's no denying that both your personal and financial freedom is going to reduce significantly for a number of years. Talking of finances, did you know that having a baby is likely to cost you approximately £500 a month when they are first born and on average £5000 for the first year alone. Over a lifetime parents can expect to spend around £67,000 looking after their child until they turn 18. And lets face it, the costs rarely do end there. I moved back home after I finished University and I remained there until I was about 28. Even once I had moved out with my husband there were still times during the early days where I depended on financial support from my parents in order to help me buy my first property. These days more than 1 in 10 adults are still living with their parents at the age of 40. You may think the responsibility ends when your child turns 18 but in reality this is a lifelong commitment. Another thing that concerns me personally about having a baby is my mental health. Some of you will already know that i've had my battles with anxiety, panic attacks and depression and I can't help but wonder what impact having a baby would have on my emotions. I'm pretty sure if you are prone to 'bad nerves' (as my Mum loves to call it!) and depression, you are probably at a much higher likelihood to experience this during and after pregnancy. This is something that absolutely terrifies me! When i've been really ill in the past I haven't even been able to take care of myself so lets just imagine what throwing a baby into that scenario is like for a moment...... Depression makes everything in life 100 x more difficult so I take my hat off to any woman who has experienced post natal depression or who has gone onto have more children after a postnatal episode. At the moment I am still working on getting myself completely well again and I know that I would never even begin to contemplate getting pregnant until I felt well in myself. A part of my struggles with anxiety is my phobia of vomit (Emetophobia). I wonder if subconsciously this illness has made me automatically reject the idea of having children. There's so much association between having a baby and being sick. Whether you suffer from sickness during pregnancy or cleaning up baby sick once the child has been born, there's a pretty high certainty that if you get pregnant you're going to have to face vomit at some point. This could perhaps be the ultimate 'face my fears' challenge to get me over this phobia once and for all. Or, on the other hand, it could be enough to send me completely over the edge. Following on from anxiety, a big problem with having a baby is also the fear of the unknown. Once you get pregnant you have no idea about how things will pan out. You could have the perfect pregnancy with no issues at all, or you could be in and out of hospital the whole time or worse, have a miscarriage. The same could be said for once the baby arrives too. You could give birth to the perfect baby and go off to live happily ever after, or you could have complications and give birth to a baby with health issues or a disability. I'm not suggesting that you would love them any less, and i'm sure that no matter what your baby would be loved and taken care of, and lovingly so. But for someone who likes to be in control all the 'if's' and 'buts' are somewhat unsettling. There's absolutely no guarantees and I therefore think it's something you've got to REALLY want to be able to deal with that. Ultimately, my desire for my life which I know and love far outweighs the uncertainty of a life I know nothing about. I couldn't think of anything worse than having a baby and then having regrets about the things I didn't do or resenting how much my life has changed. Having a baby is a permanent change like getting a tattoo, which is probably why i've never committed to that either. On a different note, I recently read a blog post by Toni from Lemon Freckles about not being able to conceive which really resonated with me. Not because we are trying for a baby or unable to have children (I have no idea whether we can or not) but because I too have known people personally who are sadly in the same position. Toni talks about not wanting to feel shame around something which is completely out of her control and recognises that this is something which should be talked about more in order to prevent people just like her feeling alone in their struggles. Whether you can't have children, or whether you choose to not have children, no one should be judged and questioned about it in an insensitive way. I mean could you imagine asking your friends with children questions like "do you regret having them?" or "what on earth made you decide to have children?". Regardless of your thoughts on the matter you just wouldn't because you wouldn't want to impose your own ideals onto anyone else or make anyone feel bad about their personal life choices. 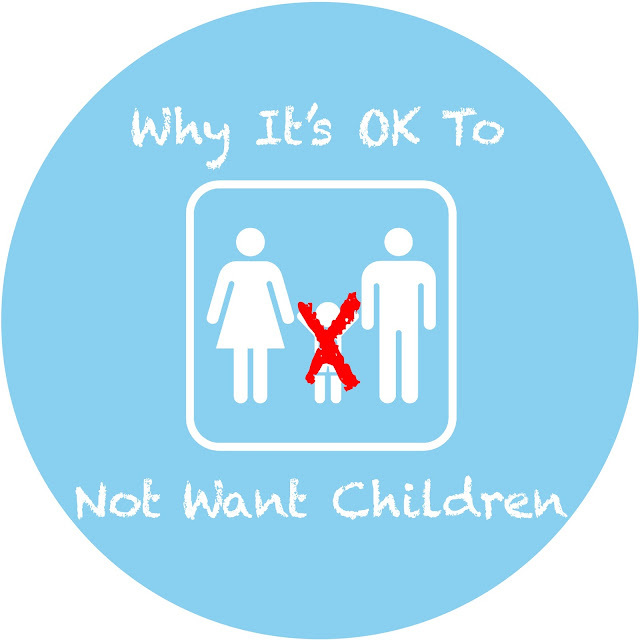 Why is it then that so many people feel compelled to interrogate any child free couple? You never completely know what's going on in a relationship or behind closed doors so it's extremely important to think before asking any questions or making any judgements. Someone might not be able to have children, they might have had a miscarriage, they could be going through IVF, you just don't know. Any remarks along the lines of "So when are you gonna pop one out?" or "Don't you guys want to have children?" could be completely innocent but it could also dredge up a huge amount of emotion and upset for the woman being questioned. This blog post also got me thinking about my own position and how people rarely talk openly about not wanting children, probably from a fear of being judged or excluded. Deciding not to have children is is a difficult choice to make, especially when everyone around you is either pregnant or already a Mum. I do often feel like i'm on the outside looking in and I sometimes wonder if i'd be making a mistake to not experience what they are. Whilst Facebook's timeline is full of baby scan photos and toddlers i'm sat here posting yet another photo of my pets or another blog post. I might often feel as though i'm somehow being looked down on in the sense that others think that I have no idea how hard life can be or that i'm somehow inferior because I haven't dealt with the pressures of motherhood. I sense that maybe my lifestyle is frowned upon because I get to spend my money on what I like and I might have three or four holidays a year. I've even at times felt disliked by Mothers because maybe I represent what they miss about life pre-children or because i've not conformed with what everyone else is doing. As I sit here typing this blog post I definitely find myself in the less favourable minority. But then as a vegan woman with pets for children, i'm already used to facing some judgements. As it stands I am 80% sure that I won't have children. I won't ever say 'never' because life has taught me that you can't completely rule things out and you never know how you may feel in years to come. I'm not the same person I was five years ago so I know that I am likely to change again as I get older. Who knows, I could hit 40 and suddenly feel the overwhelming desire to have my own baby. I will never say never and I also wouldn't rule out adoption later in life. But as a woman living in today's modern society it is certainly my own choice to decide to not have children and it's a choice that should be respected. It's also a choice which shouldn't have to be justified. I might be a married woman in my early thirties whose eggs are rapidly on the decline. My biological clock may be ticking away so loud that you feel the need to complain. My marital life with the absence of children is perhaps a surprising mystery. I might be the only one without children. I may never experience motherhood. But I am sure as hell more than just my reproductive system! Brilliant blog post Sarah, I can relate to pretty much all of what you say and it is hard sometimes feeling like you're making all different choices to everyone else but you have to go with what is right for you and your life. Thanks for sharing! Great post - I honestly can't believe that in 2016 it's still "frowned upon" by some people when a woman says that she doesn't want kids. Whenever I say it's not something I've ever really wanted, I'm frequently greeted by chimes of 'you'll change your mind' and 'you don't know what you're missing'. It's frustrating to say the least. I completely agree with all of this. I especially love that you mentioned the sustainable/global aspect, that's something a lot of people don't consider. I'm not even married yet, still engaged, and people are already asking when we're going to have kids. Some days I can barely handle my cat and dog, I can't imagine taking care of a tiny human! I totally understand where you're coming from, and there is so much pressure even in today's world to start a family - and fast. Personally, I've thought about all the things that you have too but I've come to the decision that, although it may be exceedingly difficult and is obviously a life long choice, it's an experience I wouldn't want to miss out on. Thank you for this blog post! Like you, I have never felt the desire to have children, and after 13 years of responding, people have stopped asking us "are you going to have kids?". Although G does want them eventually, so maybe I will change my mind at some point! I do worry that time might run out if my broodiness kicks in my late 30s. All 3 of my closest friends in their 30s are having to have fertility treatments. Both G and I get the fear that time is running out for everything in life, but I just don't have the feeling that it's something I want or need. For some reason we still get the "when are you going to get married" question. It irritates me alot. I don't ask people about their big life choices in that way as I actually think it is rude. It's not that we don't agree with marriage, but that we simply don't feel like changing anything in our relationship because it is fine just the way it is. It does feel as though not wanting kids is a taboo subject to discuss, but it really shouldn't be. Like you say, everyone has their own choices to make in life and we shouldn't judge people as we don't always know the full story behind closed doors. For now I'll stick with my fur baby and see where life takes me! So many good points in here - especially the fact you never now what someone is going through. It's an extremely private thing which for some reason people feel they can pry into. I don't think I want kids either and you can definitely feel like the odd one out!